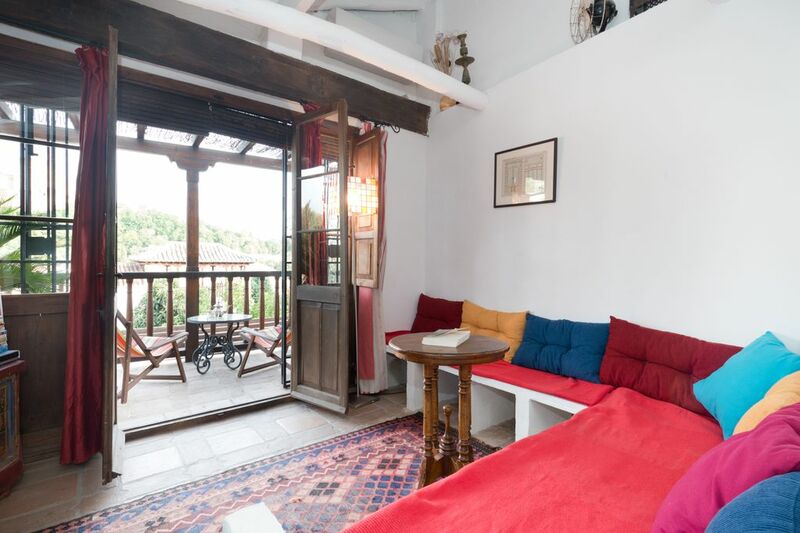 In the heart of the historical quarter of Granada, the Albayzin, the holiday home has two terrasses made of traditionnel wooden pergola with magnificent view over the Alhambra palace. This beautiful house has been converted into a charming family home, with a warm decoration, (oriental and Andalusian influences, in a pure Granada style) and is prepared for a family up to 6 guests. "The house is beautiful and perfectly positioned to enjoy Granada and the wonderful views of the Alhambra. Everything is as it is in the pictures only better. The owners were some of the nicest we have met in many weeks of travelling. Overwhelmingly courteous and helpful. We had a wonderful stay and are planning a return trip." "A building was authentic and decorated tastefully. There were huge views from a terrace to the fortress of Alhambra. We were there with two kids and it was ok, but the place suits better to adults who appreciate authentic places."